The theme of this book is diamond smuggling. Cherry and another doctor are going to a small village in Africa in order to combat an outbreak of sleeping sickness. They get the area sprayed, clean out the huts and then have the huts whitewashed. They also treat the people of the village who have the sickness. Along the way they encounter a couple of guys who are suspicious and this is where the book fails. 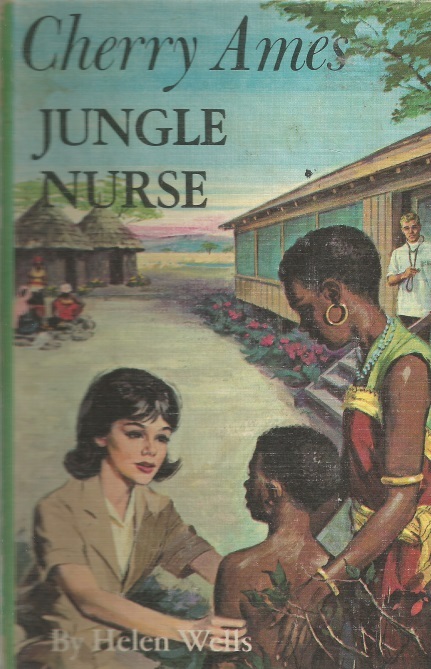 If they had kept the series to things directly having to do with nursing they that would have been one thing (although keeping the interest of the readers that long probably would have been a problem) but, if you are going to write a mystery, which this book is, then do so without being so terribly obvious about who the bad guys are. Some of the other books in the series have the same problem. (I've seen the same thing in a few of the Nancy Drew books). You know right off who the baddy is and this sort of makes the book less interesting than if the actual bad person was not revealed until the last chapter or so.